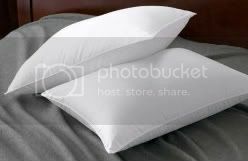 I was given the opportunity to review a medium firm pillow from MaggiesDirect.com and received it late last week. After using it for a weekend and a couple days I absolutely love it. I am super picky about my pillow and exactly how I like it to be, the 230 thread count European synthetic pillow with medium fill was as close to perfect as you can get. There is actually good support and the filling doesn't feel like it's in clumps. It feels more like a fluffy cloud! They also carry pillow in soft and firm. The cluster fiber fill is just as good as down, it is hypoallergenic and irritant free. The filling is made so that it does not clump up. The outer shell of the pillow is made of half cotton and half poly fabric and is incredibly durable. The fabric is also double stitched and chemical free. These are all important for people that are sensitive to certain fabrics or have allergies. Taking care of the pillow is simple. Making sure to wash and dry in a front loading washer and dryer. Wash in gentle cycle in cold water and tumble dry on low with down fluffers. 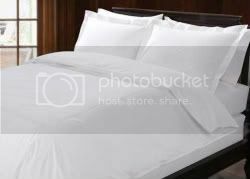 Avoiding excessive heat to keep pillow in tip top shape! Purchase anything in the Hotel Collection and earn 50% back in Social Bucks. 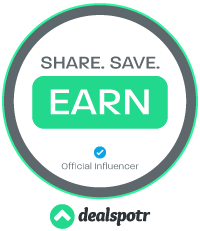 One Social Buck equals $1 in product credit for anything on the Maggies Direct site including clearance and sale items. No minimum purchase. There is free shipping to the lower 48 states, there is a $15 shipping fee for Alaska/Hawaii and $20 for Canada. I am also hosting a giveaway for a $25 Social Bucks Credit to Maggies Direct that end April 6,2012. Maggies Direct is also offering a $5,000 Shopping Spree that ends in the end of June. There is a drawing every month until the final drawing.